These links are affiliate links, which means if you choose to purchase one I will earn a commission (at no additional cost to you). Please understand that I have experience with all of these products, and recommend them because I know they’ll help you, not because of the small commissions I might make. Please do not spend any money on these products unless you feel you need them. Learn more. 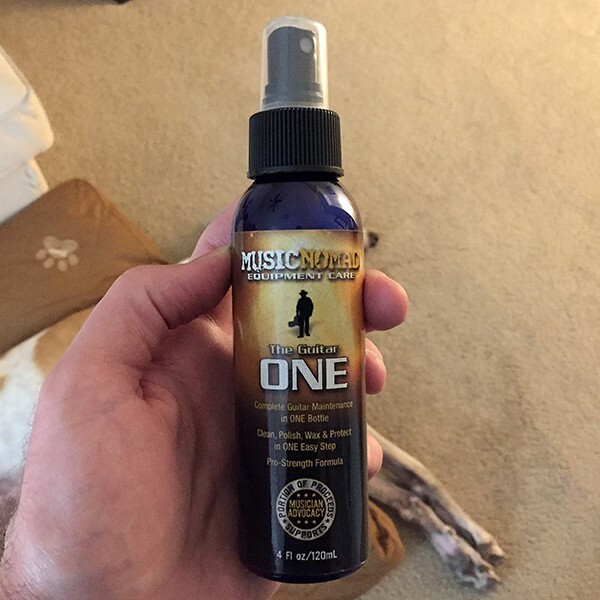 If your guitar has a glossy finish, this is the best all-in-one spritz I’ve found. If your guitar is really dirty, I recommend using this after you’ve first cleaned off major gunk. This is all I use on unfinished (non-glossy) fretboards now, including maple fretboards. I don’t use it as a “cleaner” though. 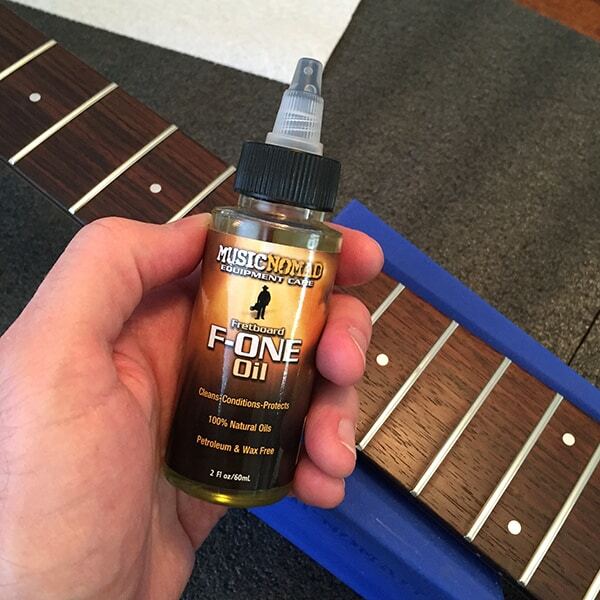 I still like to clean fretboards the old-fashioned way, then use this as a conditioner 1-2 times a year. However, it can definitely be used as a cleaner too. I love using microfiber cloths to get a mirror shine on a guitar. They’re also great for cleaning prior to polishing, because the little loops actually pick up debris rather than just pushing it around. Buy two and use one only for cleaning off dirt/debris, and use the other only for polishing/buffing afterward. 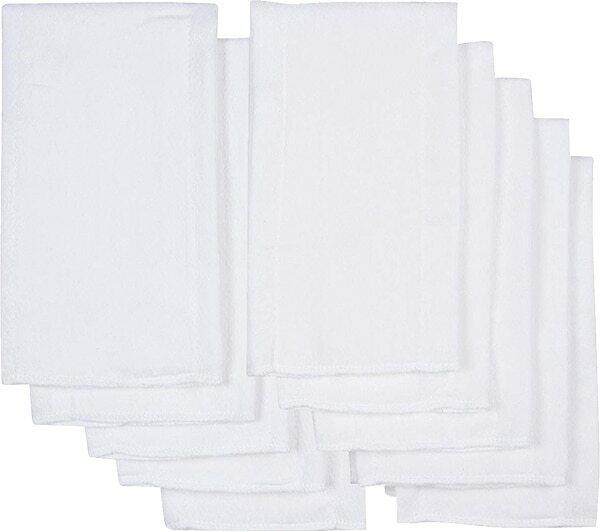 Beware: not all microfiber cloths are created equal. 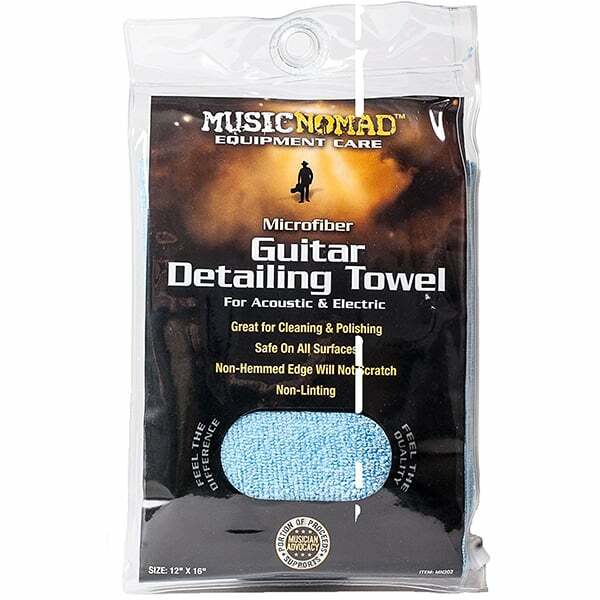 These Music Nomad cloths are made specifically for instrument care. Laugh all you want, but these cotton baby diapers are my favorite “guitar rags” for general cleaning. I use these for the really dirty stuff… like cleaning strings, oiling the fretboard, cleaning and polishing frets, and similar dirty jobs. Wash and dry them at least 1-2 times before using for the first time to ensure maximum softness. Soft enough to be used as a polishing cloth too. 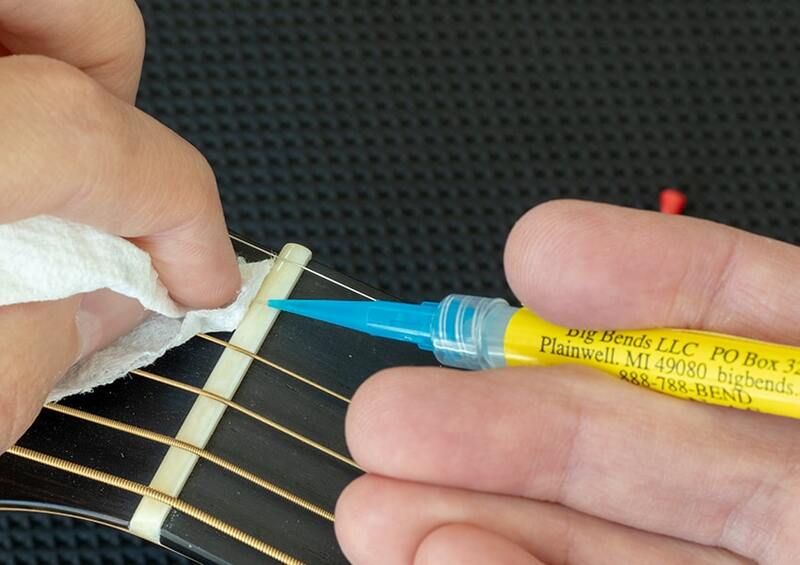 I don’t use string cleaner very often, but when I do I reach for Fast-Fret. I’ve been using it since I was a teenager and can’t see any reason to switch. 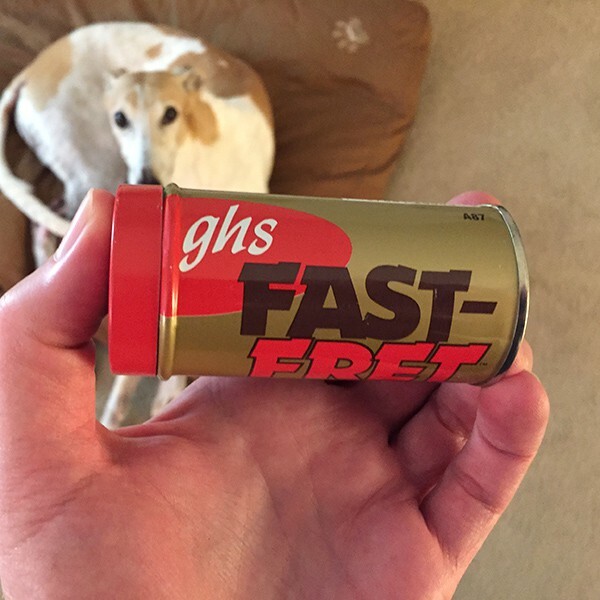 If you need to liven-up an old set of dirty guitar strings, or just want them to feel slick and new again, Fast-Fret will do the trick. 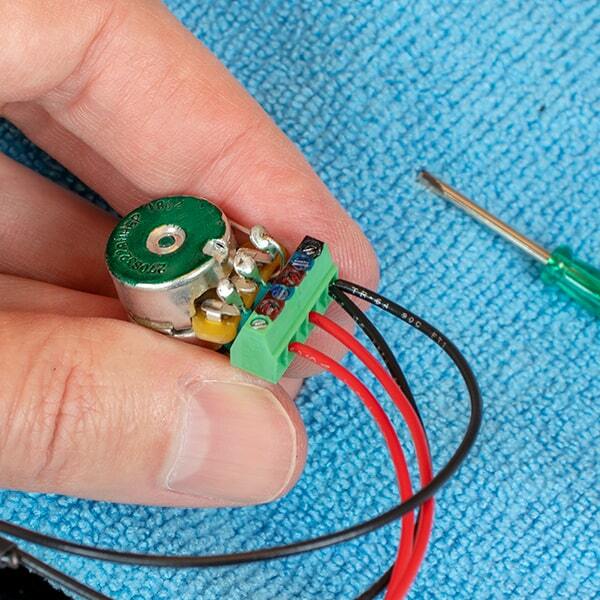 Always wanted to upgrade your guitar’s pickups or electronics, but hate soldering (or are just bad at it)? Mad Hatter Guitar Products has created a huge array of solderless guitar wiring systems for just about every guitar, switch configuration, or pickup configuration you could ever imagine. There’s a reason Steve Vai uses Mad Hatter, and it’s the same reason I have Mad Hatter systems in all MY guitars: top notch components that sound fantastic. Best of all… NO SOLDERING! Before you take proactive measures to regulate humidity, you need to know what your current humidity level is. This is the hygrometer I use and trust because it can be manually calibrated and carries a 5-year warranty. I own 2–one to measure room humidity and another dedicated for use inside my guitar case when I travel (along with the Oasis hygrometer holder). 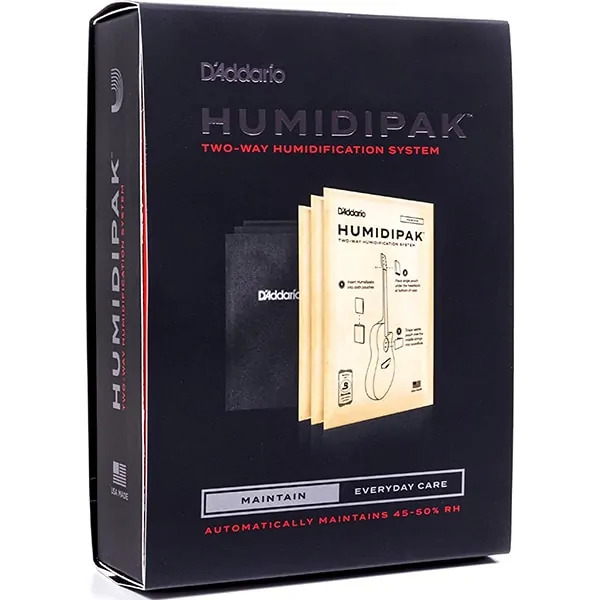 If you live in a DRY climate and need to get more moisture into your guitar, this is hands-down the best sponge-based guitar humidifier I’ve found. You can read my in-depth Humitar review here to learn more. 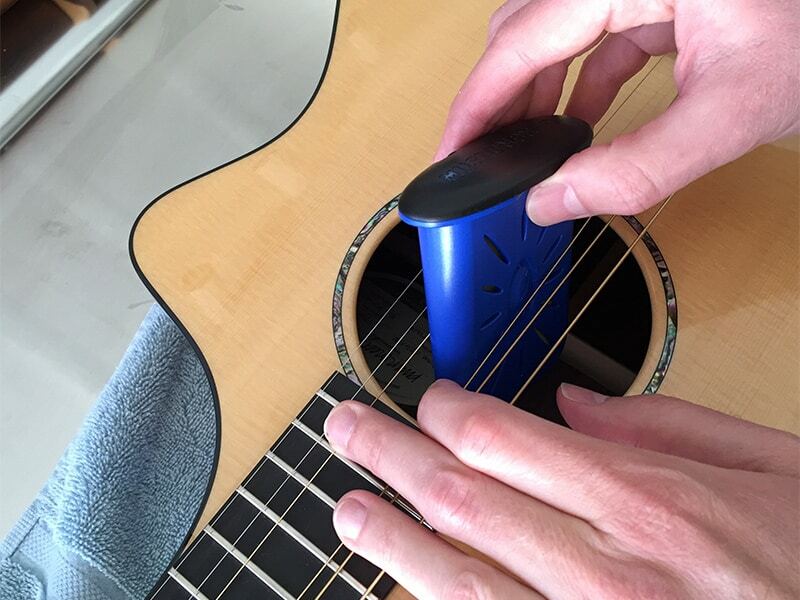 The best of both worlds, it’s called “2-way” because it protects your guitar against wet OR dry conditions. Great if you have unpredictable weather or travel a lot between wet and dry climates. Having a decent set of string cutters (or side cutters) with a hardened edge (so they last longer) is something every guitarist should have on-hand. 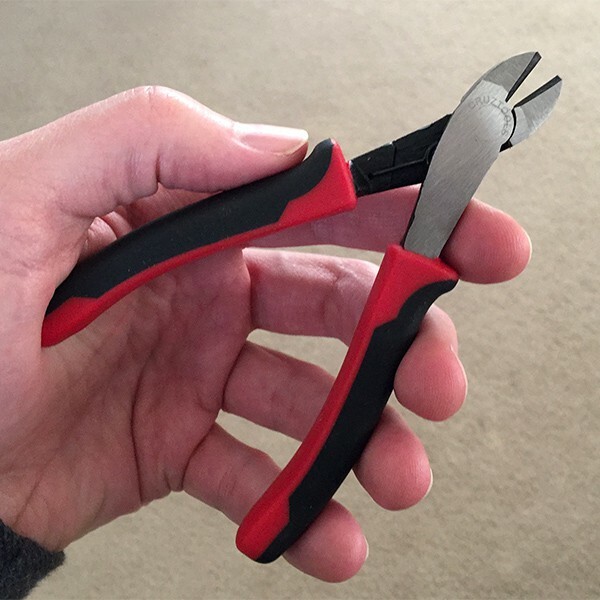 I like these CruzTools string cutters because they’re reasonably priced, compact, spring loaded, and they just work. I really couldn’t ask much more of a string cutter. 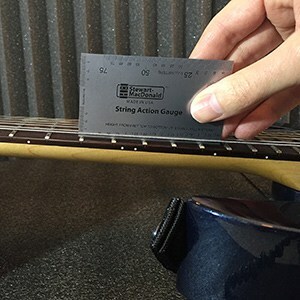 Made specifically for guitar work, the progressive string height scale makes it a lot easier to see the individual string heights. It’s a precision-cut piece of stainless steel, so the short edge can even be used as a fret rocker in a pinch. You can see me using the string action gauge in this blog post, where I demonstrate how to measure string height. 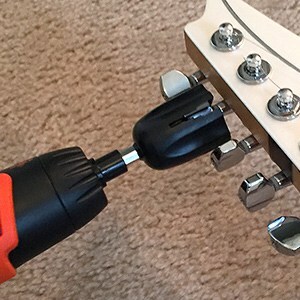 This ingenious (and inexpensive) little tool will easily and safely remove press-on style guitar knobs. Simply slide it under the knob, place the tension ring, and pull up. It works on standard speed knobs, bell knobs, and Strat-style knobs–as long as they’re the press-on type. Though my drill bit string winder is the least expensive tool I own, it is without a doubt one of the most valuable and useful. HUGE time saver for string changes. For years I used a cheap (free, actually) manual string winder, and never thought much about it. Then, I bought this, and I can’t believe I ever lived without it. 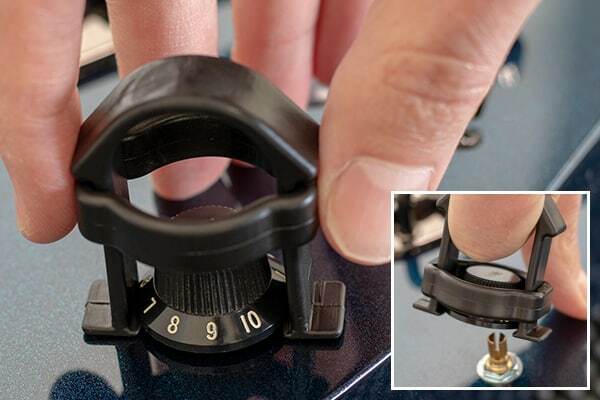 Inexpensive clip-on guitar tuners are fine for everyday tuning, but if you’re planning to set your guitar’s intonation (which is part of a normal guitar setup procedure), you need the accuracy of a strobe tuner. 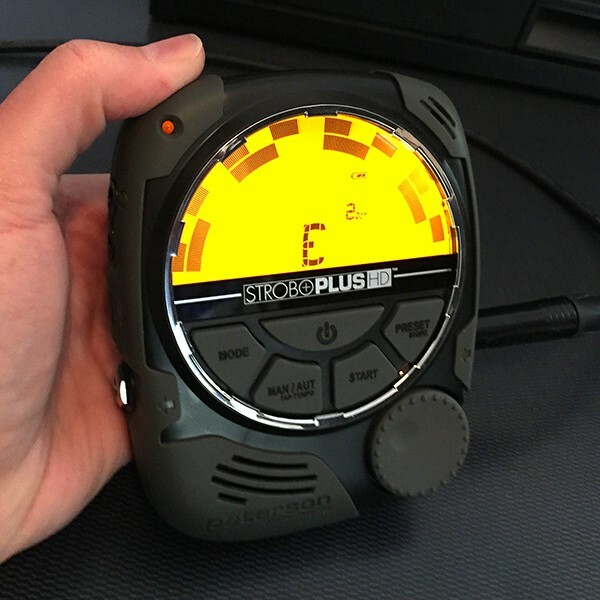 I love my Peterson StroboPlus HD because it’s relatively inexpensive for such a feature-packed strobe tuner. Also check out its little brother, the Peterson StroboClip HD Strobe Tuner. A lot of the work you’ll do on your guitar will require it to be flat on its back. 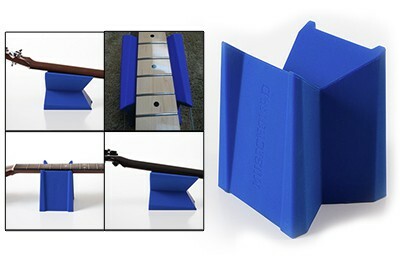 Stop propping up the neck with books or towels, and get a proper neck support like this one from Music Nomad. I like use this one because you can get different types of support depending on which edge you use, plus it doubles as a little storage container if you turn it upside down. 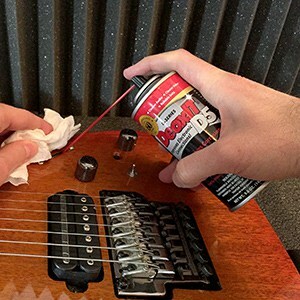 If you’re hearing cracks, pops, or scratches when you move your guitar’s knobs and switches, this little can of miracle juice can probably fix it–assuming your electronics are in otherwise good condition. You’ll find DeoxIT in every guitar repair shop. If your guitar won’t stay in tune or your strings generally seem to be binding (sticking) in the nut slots, a tiny dab of this in each string slot is usually all that’s needed to fix most issues (assuming your nut is in good shape). It’s also great lubricating truss rod nuts, string saddles, Floyd Rose knife edges, and more. A simple, straightforward step-by-step guide to getting your Strat or Strat-style guitar playing great. Includes really helpful guidance on setting up your Strat’s tremolo bridge. Finally say goodbye to trem troubles on 2-point or 6-screw bridges. Vintage or modern, your Strat will feel and play great. Available as a PDF download. 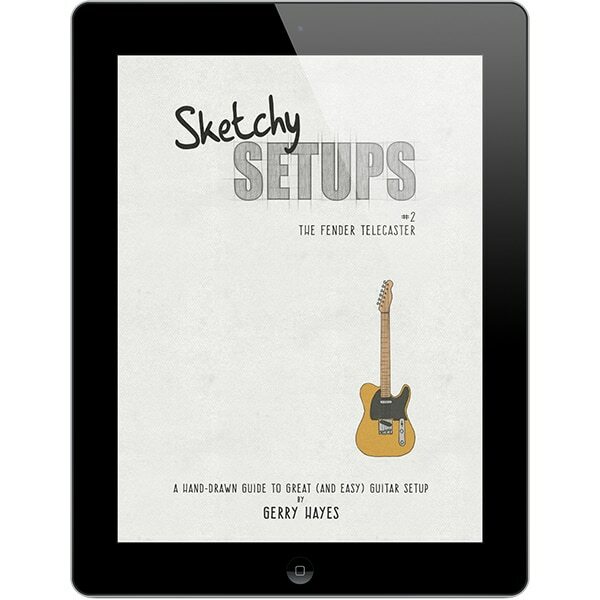 Book #2 in the Sketchy Setups series shows you, step-by-step, how to set up the grandaddy of electric guitars. 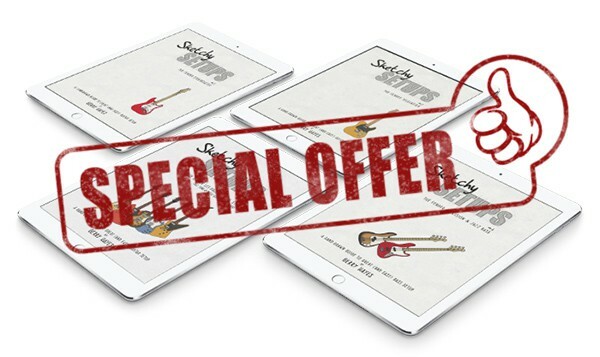 Includes advice on both modern and vintage-style Telecasters, as well as info on setting action and intonation on the tricky Tele 3-saddle bridge.. Available as a PDF download. 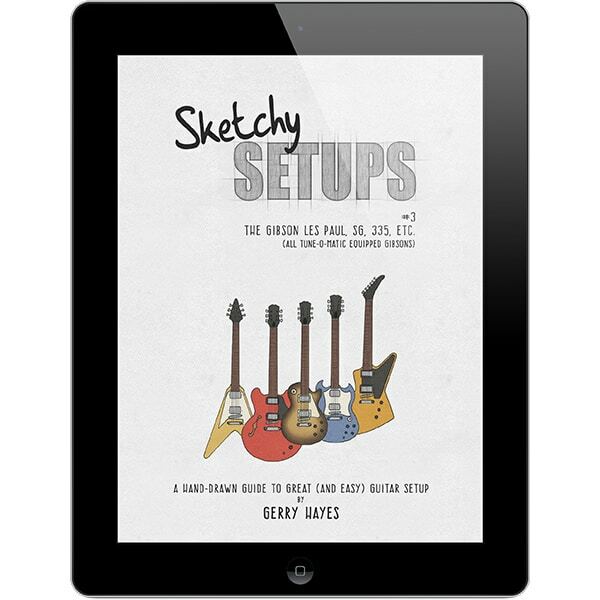 Get your Gibson playing great with book #3 in the Sketchy Setups series. After reading this guide anything with a Tune-o-matic style bridge should be a piece-of-cake. You’ll also learn about a few Gibson quirks that trip-up many people. Available as a PDF download. Bassists, you haven’t been forgotten! Now you can get your P-bass and J-bass in great playing shape. 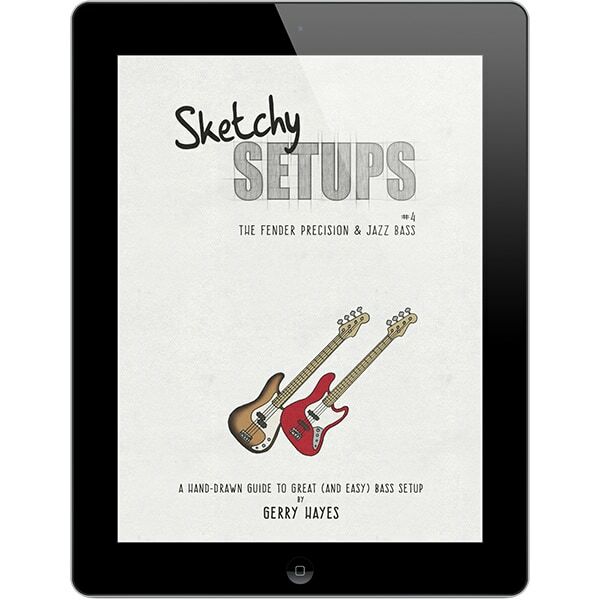 Packed with the how-to setup info you’ll need, this guide also includes pointers for setting up a 5-string bass. 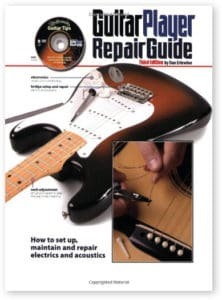 Now in its 3rd edition, this is THE book you need if you’re looking for in-depth instruction on care, maintenance, and repair of electric and acoustic guitars (and much of the material can be applied to bass too). 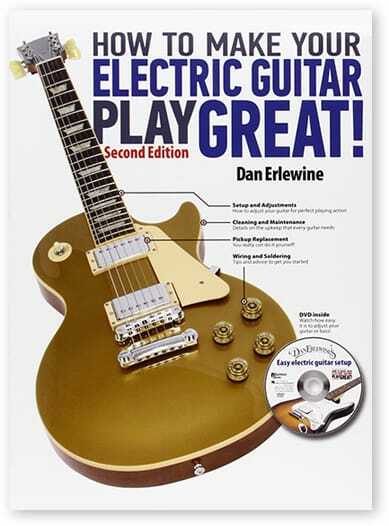 Most of what I know today has came from this book and Dan Erlewine’s other instructional videos, books, etc. I always have this book nearby, and constantly refer to it. Written by master guitar repairman, Dan Erlewine, this is a must-have for those who want to do their own electric guitar setups without getting to deep into guitar repairs. If you just want to know basic maintenance and setup, this is a really great book to read and keep around as a reference. Comes with free (plastic) fretboard radius gauges and a DVD inside. 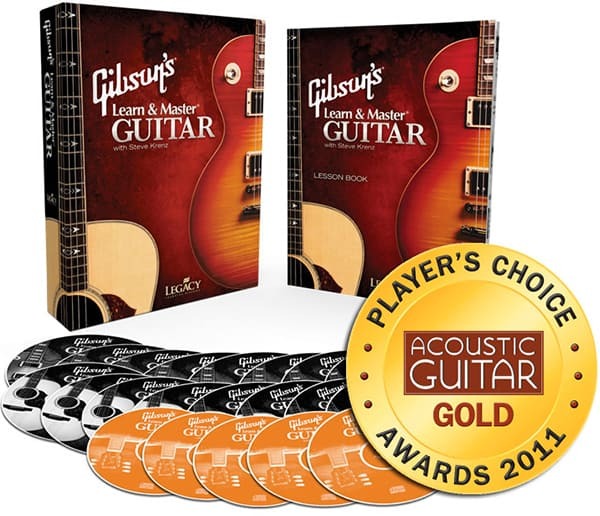 Gibson’s Learn & Master course has been around for a long time, and for good reason. It’s a rock solid, step-by-step course that is excellent for complete beginners. If you’re looking for a more structured learning experience that rivals one-on-one lessons, this is a great course that I’ve recommend to a number of people over the years. Finally available on Amazon.com! 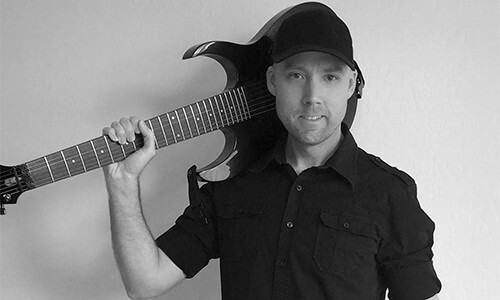 Andy Crowley is one of the most recommended guitar instructors I know of. I’ve met countless guitarists who rave about his courses and I highly recommend this book to beginners. I’m 100% confident you’ll have fun and see excellent progress if you follow Andy’s lessons. 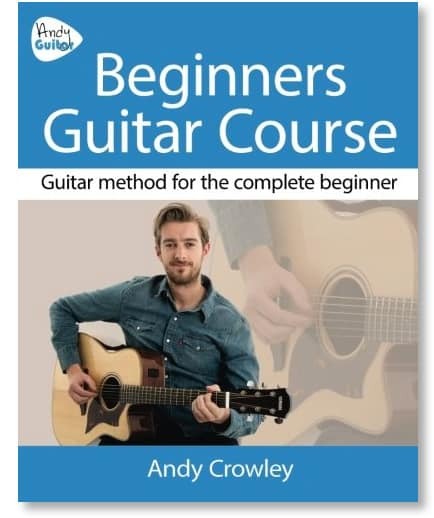 This is the perfect complement to Andy’s Beginner Guitar book (above). There are two parts: 1 and 2. Part 1 teaches you 14 strumming patterns that’ll take you from being a total beginner to what Andy calls “improver level.” Part 2 has 5 bonus strumming patterns plus other techniques that will take your strumming abilities to the next level. 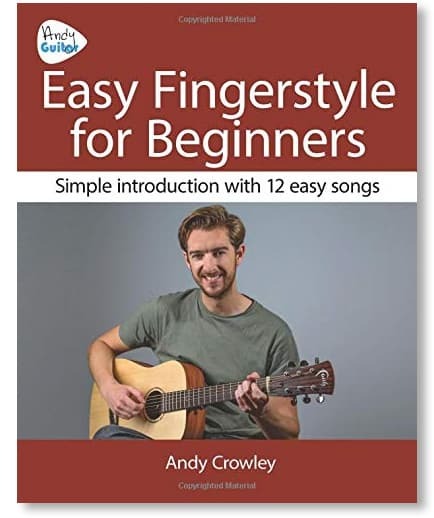 Another great complement to Andy’s other books, for those who’d like to learn fingerstyle guitar. This easy-to-follow book will help you get started and keeps it fun by teaching you 12 well-known melodies in the process. 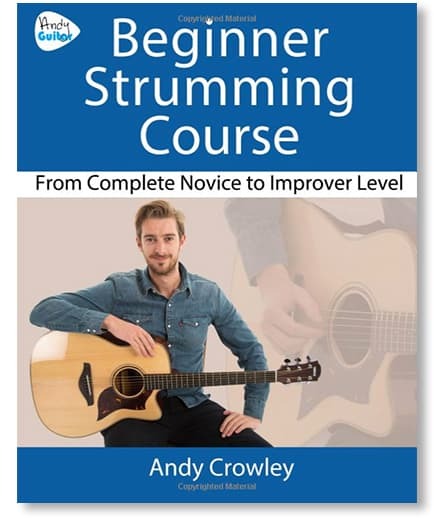 I do recommending completing Andy’s Beginner Guitar course (above) first, but it’s not necessary if you already know some guitar basics.